A huge thank you to Family Christian for sponsoring today's craft. All thoughts are my own. Spring is almost here...according to the calender anyway! And in my house we are counting down the days. Isn't there something absolutely wonderful about spring? After all the cold and the snow, those little signs of life popping through. What a fantastic reminder of the beauty in all that God has created! First up, you'll need to create your base. 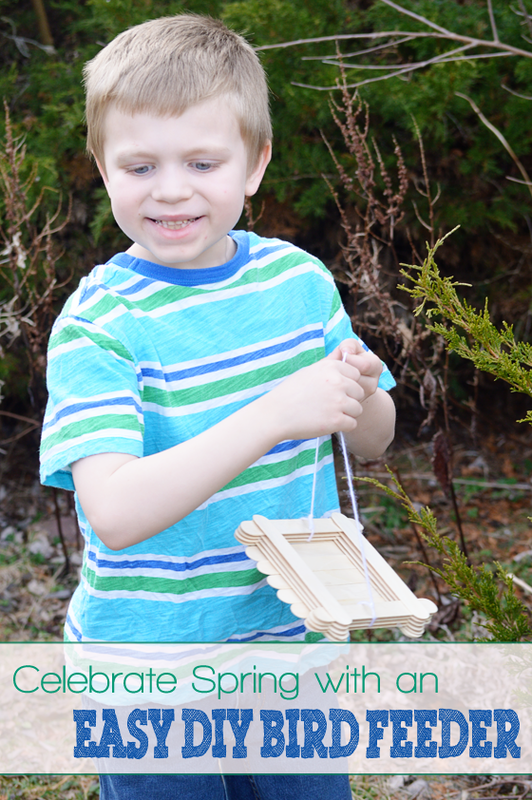 Start by creating a square frame with 4 popsicle sticks. Add more popsicle sticks all the way across the base until the bottom is solid. Next, it's time to build up the walls. Ever used Lincoln Logs? We'll be using the same technique. Two sticks one way, followed by two the next. Continue building up until you reach your desired height. 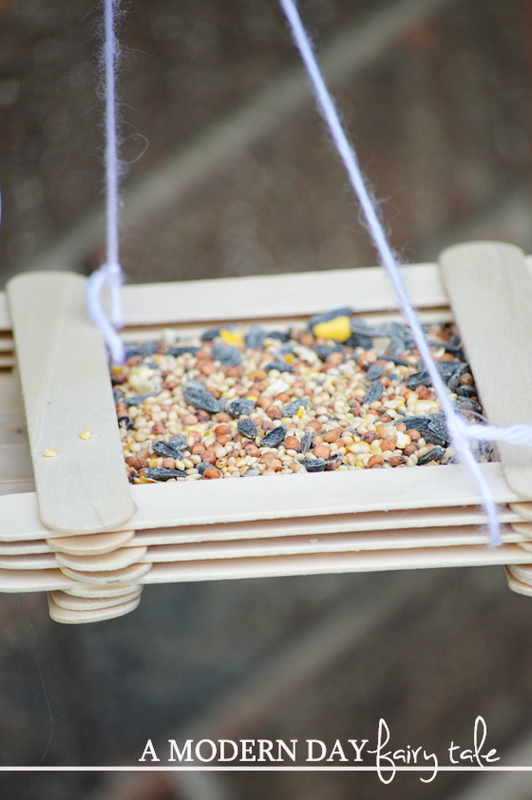 Add your birdseed, and hang! Not only was it a blast to create, but it also gave us a great chance to talk about how important it is to take care of all of God's creatures- a perfect springtime lesson! Have a little boy in Cub Scouts? 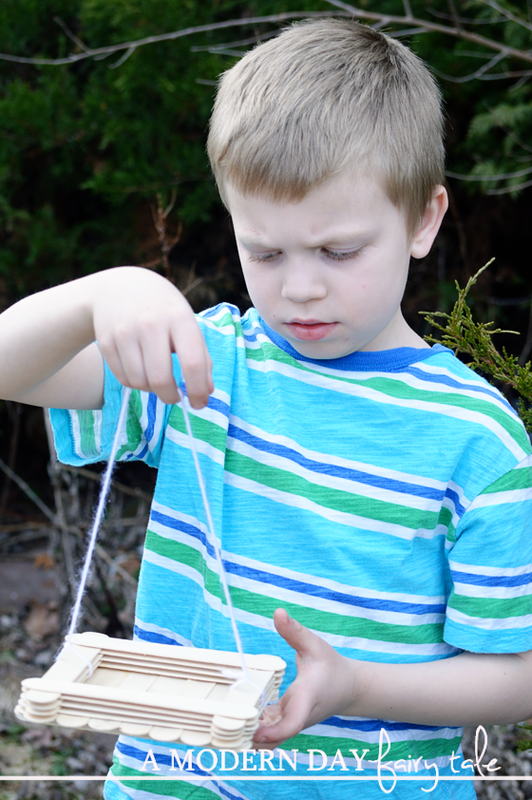 This bird feeder perfectly covers the Tiger Cub bird feeder elective as well- a win/win! Follow Family Christian's board Classroom Ideas on Pinterest. What ways do you celebrate Spring's arrival with your children? What tips do you have for sharing the importance of caring for the beauty God has created? What a cute way to welcome spring! I might make one of these to draw more birds to the yard for my cat to watch from the window! My children and I are going to make it this weekend. What a great idea!